Add being able to buy master works of art to the perks of running your own successful private equity firm or hedge fund. 's Henry Kravis, S.A.C. Capital's Steve Cohen, Citadel's Kenny Griffin, and Blackstone's Stephen Schwarzman were among those recently named one of "Wall Street's 25 Most Serious Art Collectors" by Business Insider (after The New York Observor released its list of New York's "50 Top Art Collectors"). Check out the collections on these dudes: Kravis has some Monets and Renoirs; Cohen (No. 1 on the Observor's list) owns Picassos, Van Goghs, de Koonings and Hirsts; and Kenny G holds one of the most expensive paintings ever purchased (a Jasper Johns). 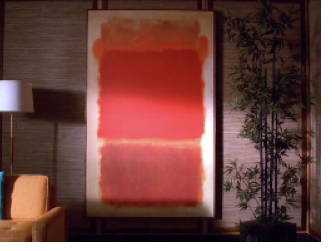 Meanwhile, Schwarzman, a board member of the Fricke who's more into (leather) furniture, is currently "hunting for a good Mark Rothko."